Whether you’re heading to work, getting ready for a day of running errands or preparing for a special occasion, you can finish off your look with a signature scent. The right perfume for you can be bright and upbeat, sensual and mysterious or warm and inviting, depending on your personality. There are a few fragrances that have become extremely popular over the years. Many of these perfumes have a vintage feel to them that can coordinate well with classic or stylish fashion pieces. If you haven’t found “your” scent yet or want to add more to your fragrance collection, here are a few popular suggestions. “Chance,” which is French for “luck,” is fitting for this fragrance. Chance by Chanel has done very well and given the brand an even larger following. It’s the only scent from Chanel to be in a round bottle; the shape is an ode to the wheel of chance. Chance features alluring notes of vanilla, a host of floral notes, and musk that make this perfume wonderful for a special occasion. Coco Madmoiselle is said to be younger, bolder version of Coco Chanel. Coco Mademoiselle is often more appealing to fashionistas in their 20s and 30s. The perfume was released in 2001 and has been a favorite with Chanel fans since then. It’s still a top fragrance with women, especially since actress Keira Knightly is the perfume’s spokeswoman. Philosophy is known for simple ingredients that are gentle on the skin. Amazing Grace is a soft, clean scent that is understated, yet noticeable. There are light floral notes and subtle fruit scents that make Amazing Grace a great everyday scent, no matter what type of event you’re heading to. 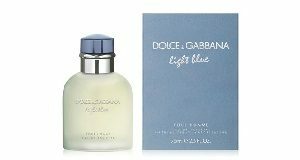 Those who love Light Blue have described the Dolce and Gabbana fragrance as “Italy in a bottle.” There are pleasant notes of lemon, citron, and Granny smith apple for a pleasant fruity overtone. There are also floral notes throughout the fragrance, including rose and jasmine. Dark, warm notes like musk, amber, and cedarwood make the perfume even more alluring. You can wear Light Blue during warm weather to emphasize the natural scents of the spring and summer. Daisy is one of Marc Jacobs’ most famous fragrances. The perfume is a delightful blend of floral and fruity notes and features scents like jasmine, strawberry, and violet leaves. This fresh scent is perfect for springtime, but works well in summer, too. “La vie est belle” is French for “life is beautiful.” Chances are you’ll be able to relate to this phrase on some level once you spray on this appealing floral scent by Estee Lauder. 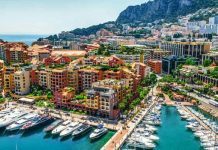 Even though Estee Lauder is well-known for skin care, it’s easy to see (or smell) how La Vie Este Belle became so popular. The perfume features notes of patchouli and iris that are both alluring and upbeat. This vibrant and romantic scent by Dior features jasmine and rose notes. This makes J’Adore ideal for summer and spring wear. However, the perfume flies off the shelves regardless of the time of year. This is largely because the bright make the scent particularly inviting. 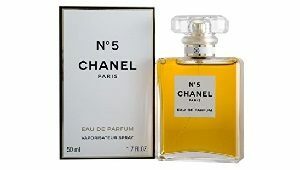 Chanel No 5 is an iconic fragrance, but it’s not exactly a best seller anymore. 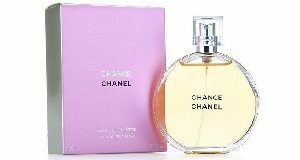 Those who are Chanel enthusiasts are loyal to the brand and continue to purchase the classic scent. No 5 has a more complex fragrance profile than Coco Mademoiselle, which may be why it has waned slightly in popularity. No 5 by Chanel was released in the 1920s, and the perfume’s ingredients have remained consistent for the most part. Viktor and Rolf are designers that make ready-to-wear clothing. While the apparel isn’t getting much buzz these days, the design team is getting lots of praise for its fragrances. Flowerbomb is perhaps the most popular perfume from Viktor and Rolf. The fragrance has pronounced floral notes like rose, orchid, and freesia, as well as patchouli. It’s ideal for year-round wear and is a great fit for both casual and dressy occasions. This Juicy Couture fragrance is a favorite among young women, and continues to be popular in 2018-2019. Juicy Couture is also well-known for its clothing items, especially velour track suits, but Viva La Juicy has brought more attention to the brand as well. The perfume has a fruity, berry scent, mixed with notes of vanilla and jasmine. 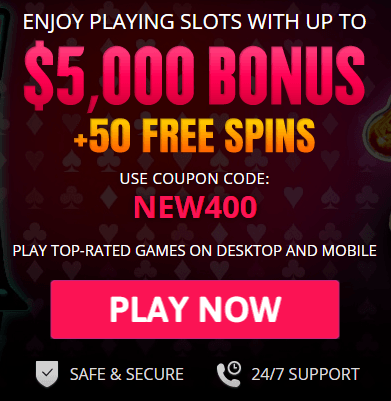 Faveable.com actually chose Black Opium as the best fragrance for women. Our scent helps to boost our confidence and makes us more attractive. Studies have shown that when we don’t have the right fragrance to create a signature scent we like, it prevents us from focusing on other important things. Unique fruity notes like pear and orange blossom are included in the fragrance, combined with floral notes like patchouli. 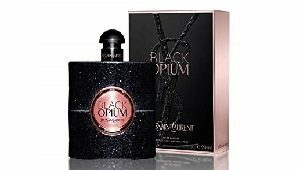 Black Opium can be worn year-round, since it has notes that are both warm and bright. The popular singer has made a name for herself in the fragrance world. Her affordable perfume, Wonderstruck, is a hit with many of her fans. The perfume is a mixture of fruit, floral, and musk scents. Even though the fragrance was created with teens and young women in mind, there are some older women who admit they love the combination of fragrance notes as well. This fragrance has been considered a hidden gem and has a soft scent that lasts for hours. While it’s not the most popular fragrance from Guerlain, it’s a favorite among women who are aware of it. The perfume contains notes of almond blossom, raspberry, vanilla, patchouli, and jasmine. The fragrance is great for all occasions, and will last you for a while, since a little goes a long way. A number of people are ashamed to admit that they love a perfume created by pop star Britney Spears. However, there are apparently some people who are wearing it proudly, since the fragrance is still pretty popular. Fantasy has a sweet scent that features notes of cotton candy and marshmallow, and there are even notes of white chocolate. This makes you especially approachable, so expect to get lots of compliments. The fragrance also includes fruity notes like kiwi and lychee to give the sweetness of the scent a little more dimension. Fantasy is also appealing because it’s more affordable than what you may find in most department stores. A number of reviews also state that men enjoy the fragrance just as much as women do. The base notes of the scent are deep and musky to give it more depth and make it slightly mature to balance the fun and fruity notes. If you’re into Dior fragrances, you’ve likely heard of Hypnotic Poison. This alluring vanilla scent is intoxicating and exotic and is ideal for fall and winter. However, you can wear the perfume for special occasions when you really want to grab someone’s attention. In addition to vanilla, Hypnotic Poison also includes notes of almond, cinnamon, and caraway.